During the recent annual meeting of Partners for Stennis Space Center on December 14th at INFINITY Science Center, the membership elected the 2017 executive committee and board of directors, naming Michael McDaniel, General Manager of Aerojet Rocketdyne at Stennis Space Center as Chairman of the Board for a second one year term. With a workforce of more than 5,000, the direct economic impact of NASA Stennis Space Center on the 50 mile radius is $684 million with the direct global economic impact topping $796 million. 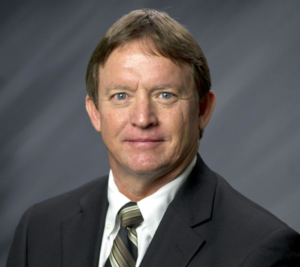 Mr. McDaniel has a Bachelor of Science Degree in Nondestructive Testing, a Master’s of Administration Degree in Industrial Management and a Master’s Degree in Quality Management and Six Sigma. In 1984 he started his career as an engineer with Babcock & Wilcox Naval Nuclear Fuel Division in Lynchburg Virginia. In 1986 he joined EG&G Florida as a Nondestructive Testing engineer for the Atlas, Delta, Titan and Space Shuttle programs. Mike accepted the position as Senior Manager Safety and Mission Assurance with Boeing Rocketdyne in 1999 and relocated to Stennis Space Center. In 2010, Mike was promoted to General Manger for the Aerojet Rocketdyne Stennis Space Center Site Operations. McDaniel has served as the Chairman of the American Society for Nondestructive Testing (ASNT) and Standards Development Committee, the Chairman of the ASNT/ANSI Technical Advisory Group (TAG) and ISO committee. Additionally, Mr. McDaniel served 8 years on the ASNT Board of Directors and is currently serving as a Director on the INFINITY Science Center Board of Directors.